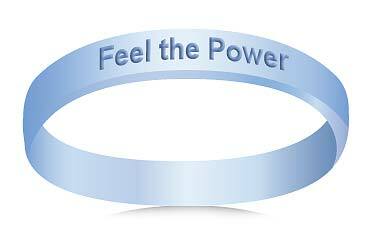 The light blue wrist band represents the power of men working together to defeat prostate cancer, the power of living a healthy life, and the power to find a cure. One in six men will be diagnosed with prostate cancer in his lifetime, and more than 30,000 men will lose the fight against the disease in 2006. But the good news is, prostate cancer is highly treatable, if found early. For more information about prostate cancer and to view the American Cancer Society's prevention and early detection guidelines, please visit www.cancer.org.